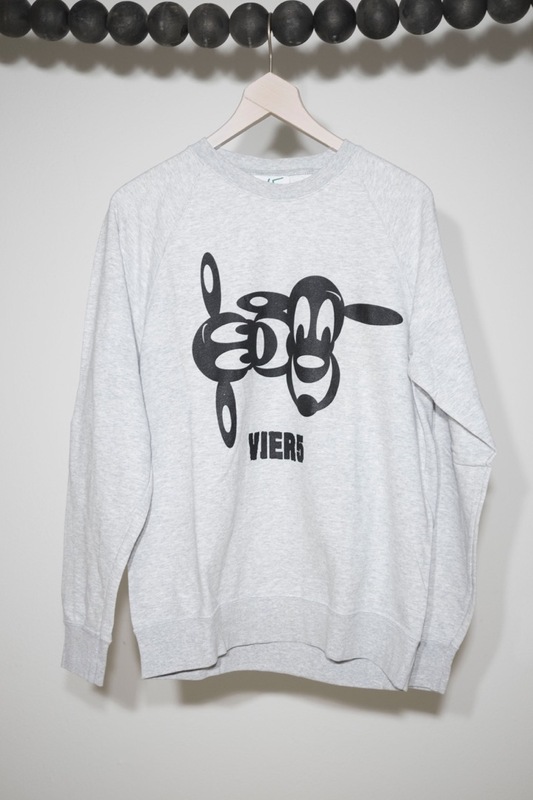 Heather grey sweatshirt by V5 Paris. Round neck, silkscreen print on front, ribbed trims, regular fit. No surprises, it‘s a classic cut. Designed and hand made in Germany. V5 Paris is the fashion line of the Paris based graphic-design studio Vier5. 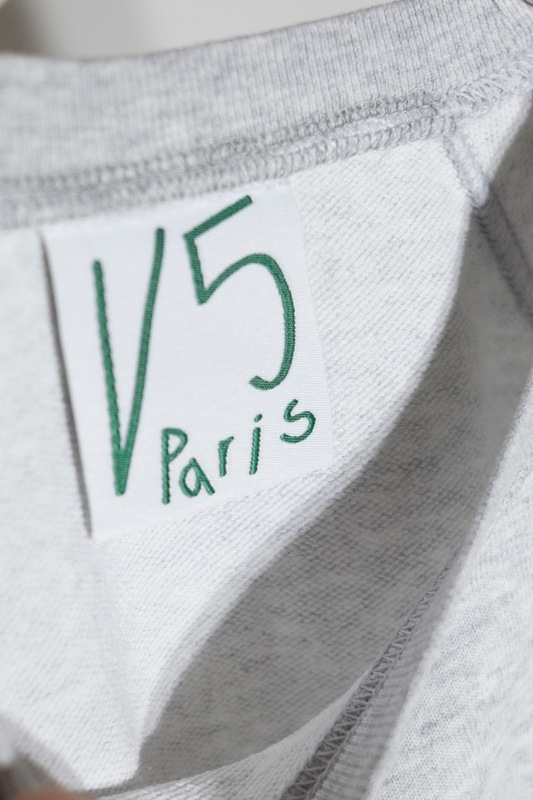 The fashion label V5 Paris was created in 2007 with the aim of effectively departing from the notion of a ‘Brand’ or ‘Label’, to design clothing that looks and feels as if it had been designed by a friend or found somewhere.